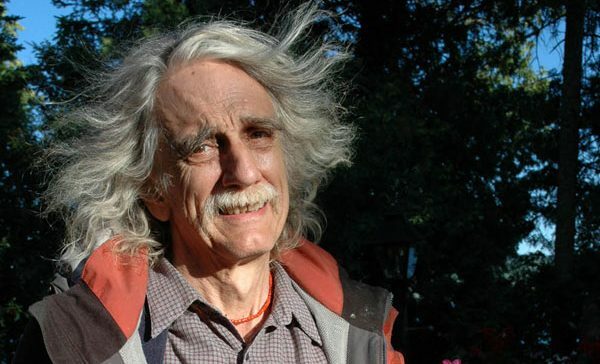 RANGELEY — Lovers of poetry will gather Sunday, Aug. 6, at 6 p.m. at the Ecopelagicon nature store, 7 Pond St., to honor poet Hugh Ogden (1937-2006), formerly of Poets’ Island. Also, Sidney Wade of Rangeley and Gainesville, Fla., will read from her own work. Sponsored by Ecopelagicon, the event is free to all. Light refreshments will be served. Members of the Ogden family will begin the evening by reading poems written by their father. Community members are invited to read a poem Ogden’s or one of their own that attends to what meant so much to him — the beauty and mystery of the world, especially Rangeley, and peace among all living things. A sign-up sheet will be available just before the start of the evening, since time will be limited. During the second part of the evening, poet Sidney Wade will read. She is the author of five volumes of poetry, including “Stroke,” “Empty Sleeves” and, most recently, “Straits & Narrows.” Her sixth book of poetry, “Bird Book,” forthcoming in September, has received rave reviews. The wisdom of the natural world links the poetry of Sidney Wade and Hugh Ogden. In “Fir on the Oquossoc Shore,” Hugh wrote: “Year after year I reach straight/ up, my trunk and voice grounded/ in incremental rhythms evergreen.” In this spirit, friends of poetry will come together to honor these individuals. For more information, to join our e-mail list, or to contribute to the fund set up for this event by the Ogden family, contact Peggy Yocom at 207-864-3421 (myocom@gmu.edu) or Linda Dexter at the Ecopelagicon 207-864-2771. Visit ecopelagicon.com and hughogden.com and margaretyocom.com/poetry.